Full end-to-end consultancy, design, services & support for your business communications strategy, video conferencing environment and more. Do you have a video conferencing or collaboration environment? Are you working with video enabled tools such as Skype for Business, Teams & WebEx? Are your voice, video & data networks working apart when they should be working together? Are you preparing for a network that can accommodate your growing communications traffic when your business is ready? Whether support for a single video conferencing endpoint or a full multinational communications video enabled network with wireless connectivity and 24×7 mission critical requirements, we can ensure a full, reliable and professional service that will deliver on-going value to your business. With our seperate video, voice & data networks, each supplier knew the components of it’s own implementation very well, but no-one could help us with the interaction between each. When an issue occurred between two networks, we always hit a brick wall. VideoCentric helped us to bring all our networks under one supplier with experts in Video, Voice & Data, understood all components & helped us integrate them properly & efficiently. Specifically for Video Conferencing and Video Network requirements, VideoCentric offer the UK’s highest levels of advanced part replacement, onsite support escalation, expert video helpdesk & 24×7 interoperability & system testing. 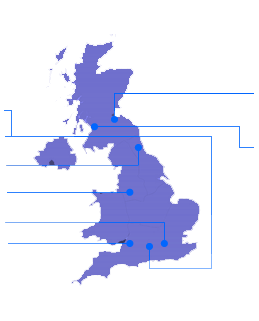 In addition to added extra’s for our customers including free remote user refresher training for all customers with maintenance, VideoCentric are the UK’s most experienced provider of video conferencing solutions & support, and can provide you and your organisation with everything you need from getting started with video through to long-term system & infrastructure support. Contact us to discuss our range of professional services for all your communication needs.